For the first time in history, the 2016 All-Star game was being hosted outside of the US, in Toronto, Canada. 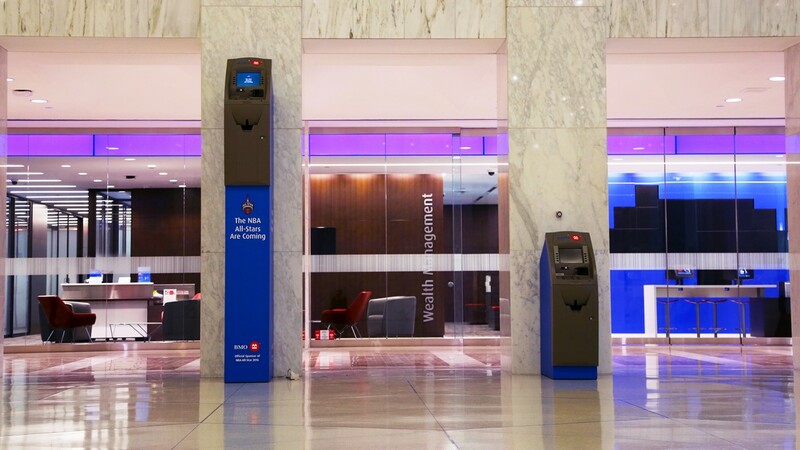 The city was about to see an influx of very tall people and as the official sponsor of the NBA All-Star game, the Bank of Montreal wanted to make their stay as comfortable as possible. So we turned an ATM into an NBATM – a 10-foot-tall ATM that was the same height as a regulation basketball net. Placed outside a conveniently located branch, the NBATM was ready-made for players tired of hunching over to bank.